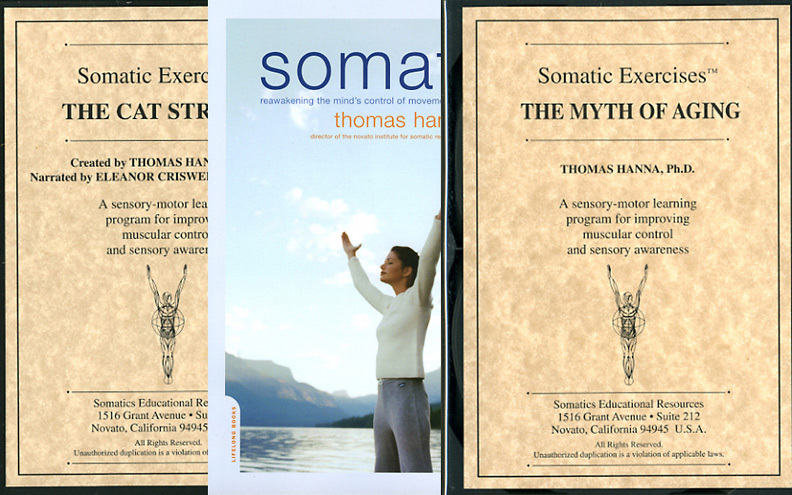 Somatics Catalog - Product Report: "#GH2"
Basic Good Health set: Somatics book, #700-The Myth of Aging (four CDs) and #150-The Complete Cat Stretch (one CD). Learn about the"Red Light" & "Green Light" muscular stress reflexes that distort our bodies. Discover the "Trauma Reflex" that causes bodies to tilt. Read about the medical consequences of chronic muscular contraction. Practice the eight Somatic Exercises to erase the damaging effects of stress and trauma.